The above table is just a sampling of the applications for hydraulic packing. Call the hydraulic packing specialists here at Hennig Gasket with any questions about your particular hydraulic packing application. In addition, Hennig Gasket has over 500 stock sizes of hydraulic “V” packing in stock and available for same day shipping. 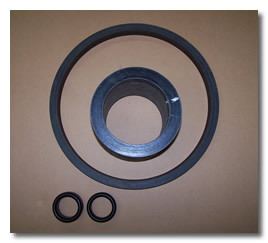 Get in touch by phone or email with the specialists at Hennig Gasket today for all your hydraulic packing applications! Or, request a quote today!